The Criminal Investigation Department (CID) has recovered the vehicle in which the remains of the two businessmen, who were murdered in Rathgama area, were allegedly transferred to Walasmulla area. 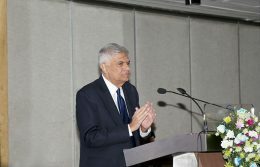 The establishment of the National Police Commission (NPC) helped create an environment for the Police to act independently and removed political interference which stood in their way when fighting against drug trafficking, Prime Minister Ranil Wickremesinghe said. Nine Indian fishermen who engaged in illegal fishing in Sri Lankan waters have been apprehended by Sri Lanka Navy personnel. 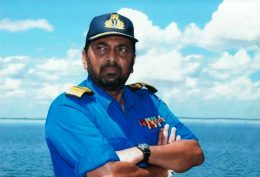 In the face of imminent arrest, former Navy Admiral Wasantha Karannagoda has filed a Fundamental Right (FR) petition before the Supreme Court seeking an Interim Order to prevent his arrest. North Korean leader Kim Jong Un has arrived in Vietnam in his heavily armored train, ahead of his two day summit with US President Donald Trump in the capital Hanoi. 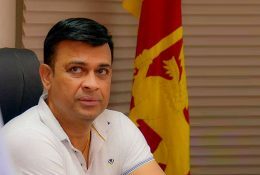 The UNP’s four-member committee, appointed to probe the claims made by State Minister Ranjan Ramanayake, about Parliamentarians who allegedly use cocaine, has reportedly concluded that they could not be satisfied with the accuracy of latter’s testimony given before the committee. 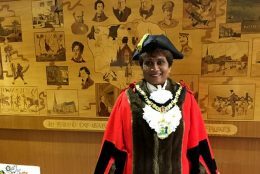 Several MPs expressed their opinions in the political arena about the controversial statement made by the state Minister Ranjan Ramanayake. Five persons including the son of MP Mahindananda Aluthgamage and Colombo Municipal Councillor Duminda Sudammika Artigala have been arrested by the police in connection with the accident in which traffic OIC of the Borella Police, IP Sarathchandra, was injured. 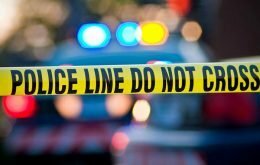 The Officer in Charge (OIC) of the Borella Police traffic division, IP Sarathchandra was admitted to the National Hospital with injuries after he met with a hit and run accident in Bambalapitiya around 4.35 a.m. yesterday. 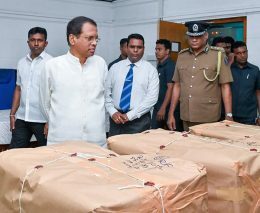 President Maithripala Sirisena who visited the Police Narcotic Bureau (PNB) yesterday (24) extended his tribute to the PNB and the Special Task Force (STF) officials for seizing the largest ever heroin haul in Sri Lanka. Wartime Defence Secretary Gotabhaya Rajapaksa on Saturday (Feb 23) alleged that the country was in dire straits today for want of political stability, consistency in respect of state policies, lack of transparency and weak decision making process. 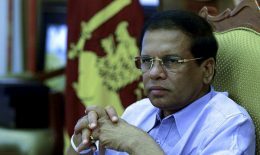 President Maithripala Sirisena has posted on Twitter honoring the Police Special Task Force (STF) and the Police Narcotics Bureau (PNB) for seizing the largest heroin haul in Sri Lanka. 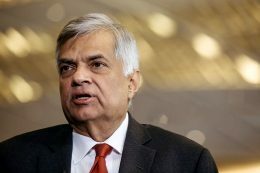 Prime Minister Ranil Wickremesinghe says politics should be removed from sports. President Maithripala Sirisena extended his warm wishes to the Sri Lankan Cricket Team for wining 2-0, the Test series against South Africa in their own country and the Sri Lankan team became the first team from Asia to win a Test series in South Africa. The largest heroin detection ever made in Sri Lanka, was seized by the Police Narcotic Bureau (PNB) and the Special Task Force (STF) officials yesterday.